Testing was performed on a system with an Intel Core 2 Quad Q9400 CPU with 4 GBs of RAM and an Asus Geforce GTX 650 Ti, running at a resolution of 2048x1152. A review copy has been provided by Andytizer. 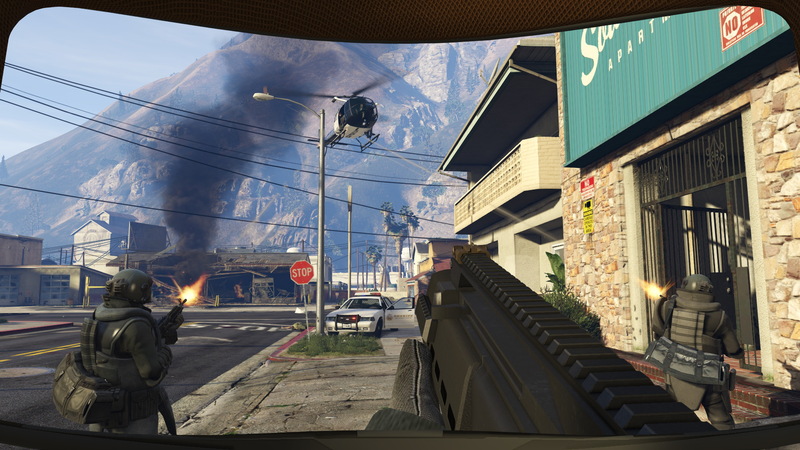 While Grand Theft Auto V does offer quite an extensive list of options, some of the more subtle post process effects, such as the chromatic aberration, cannot be disabled. The game also includes some more uncommon options, such as the game pause when out of focus, which forces the game to use less power from the CPU while idling, and some startup settings. Otherwise, no other options truly stand out. Most notifications can easily be disabled, along with any elements which are part of the game's main UI system, which does certainly allow for a far more immersive and customizable experience. By default the subtitles and other elements which are part of the UI might be a bit too close to the edges of the screen, however, the game does provide a safezone setting, which should very slightly help solve this issue. Even though the game does feature a field of view slider, it's limited to the on foot, first person camera mode. The first person driving mode is not affected by this setting. The field of view slider is not numbered, which makes it harder to pick a more specific and suitable value. The standard field of view should be around 85 degrees. On the Normal setting, most ground textures will have a very washed out look, while on the higher quality settings the textures start looking far more sharper and a whole lot more detailed. Even when using the high quality textures, the overall framerate hit should be pretty minor. The textures play a big part into how the game does look, along with the shader setting. Cars will also look slightly different, notice the tires, although the reflections themselves matter more than anything else. Even at the highest settings, most textures don't look as great as they should be, although while playing the effect isn't as noticeable. The differences between Normal and Very High aren't overly large. On Normal most shadows usually look really good, on Very High the shadows do have far less jaggies and they also affect some of the more distant elements. The soft shadow setting also does slightly help, while not being too performance intensive in itself, it can be found under Graphics, Soft Shadow, the Soft value has been used in some of these screenshots. The long shadows setting isnâ€™t as performance intensive, but again most changes are minor at most and very difficult to spot. On the other hand, high resolution shadows are a framerate killer, most differences are pretty hard to spot and otherwise thereâ€™s not much point in using this setting during usual gameplay. The shadow quality setting can be left on High if there's any performance issues, High and Very High shadows don't differ as much. 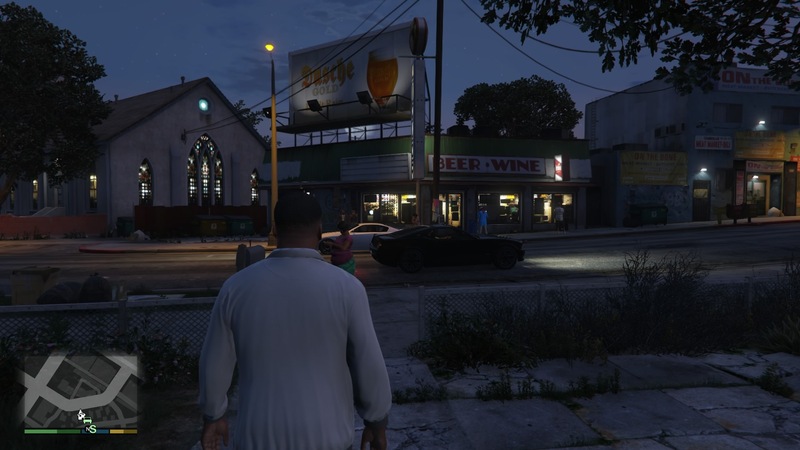 Reflections play a very important role in Grand Theft Auto V, they can completely change the game's entire mood and look to a greater effect. 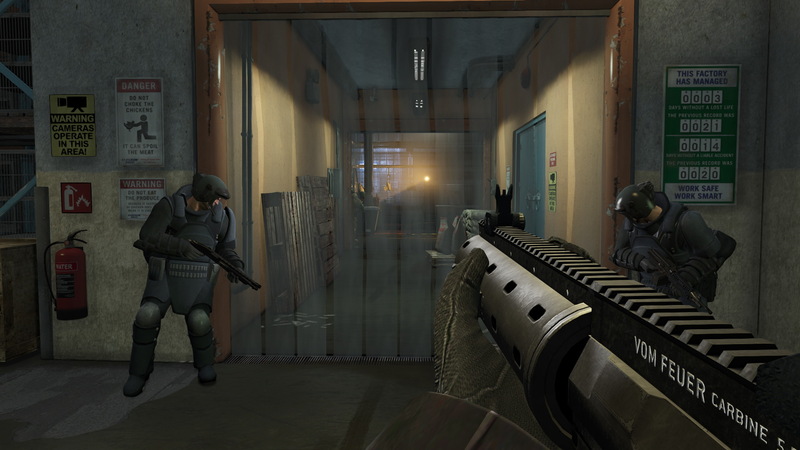 However reflections at the maximum setting can be quite a huge performance killer on lighter systems, a value of High should probably be used instead, they do however, give the game a far more well defined look, while adding some more subtle details to certain objects which can change how some environments might be perceived. The MSAA setting can be quite performance intensive when set to it's maximum value, there doesn't seem to be much point in using it. 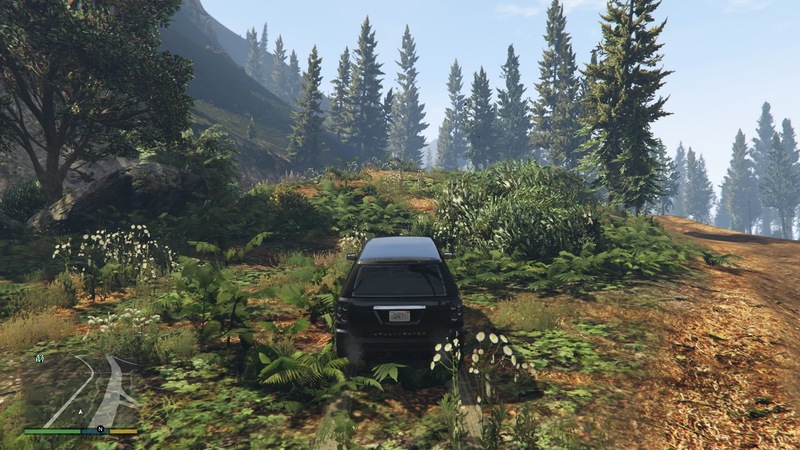 Car mirrors do not cast their own reflections, even though most mirrors in the game are able to, none of the settings appear to affect them. Reflections also do apply to most characters, most notably while being wet, and even the eyes themselves will change depending on the setting. However, Michael doesn't seem too happy with his new look, can't blame him though, he's wet. Most cars in the game will display a far more cheaper look on the Normal setting, similar to Michael's jacket. Rather self explanatory, there's a very minor framerate hit as a whole. Depending on which reflection setting is being used, most objects should be cast on the water's surface. The grass setting mainly affects the density of the grass itself, instead of the actual quality. On the Ultra setting grass may also begin casting it's own shadows. While the framerate hit is pretty small, lesser systems might not be able to cope with the higher settings. It's best to set it to High, if there's any problems, otherwise it shouldn't be too bad. 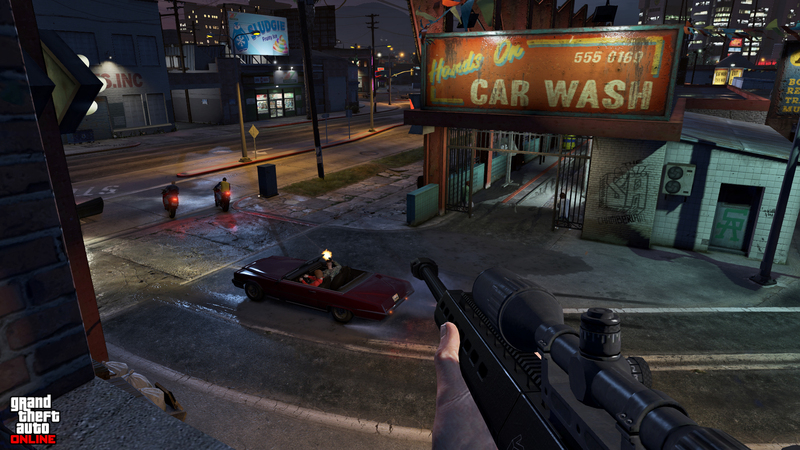 Most players should be able to comfortably play the game at a stable framerate even on the normal settings, while possibly bumping up the shader and texture settings up to High, in order to make things look less washed out, seeing as those two settings mainly change the overall look of the game. Even on such a system the game does behave fairly well. However, sometimes some of the loading screens do tend to get quite long, but they don't honestly really get in the way too much, this problem could probably be mitigated by running the game on an SSD, although that would be a very expensive solution. There were also some issues while alt tabbing, as the game may sometimes fail to fully recover, however, switching back to the windowed mode and back to the fullscreen mode can help. The MSAA antialiasing mode is incredibly performance intensive, any values over X2 were overkill on this system. NVIDIA's TXAA can only be enabled once the MSAA setting has been set to it's minimum value. Most, if not all the advanced video settings are incredibly performance hungry, the extended distance scaling setting is another large framerate killer, there were no real differences while using it. On weaker systems, closing any background software might be necessary, due to the very intensive way most resources are handled. Leaving a browser open may possibly interfere with the game's framerate, causing it to even possibly strutter due to the already limited memory. When out of focus during a loading screen, the game might pause itself for an indefinite amount of time, this can however be disabled from the options menu. The Post FX, Tessellation and NVIDIA PCSS settings can also pretty demanding, the tessellation itself isn't very noticeable and NVIDIA's PCSS might behave rather poorly. 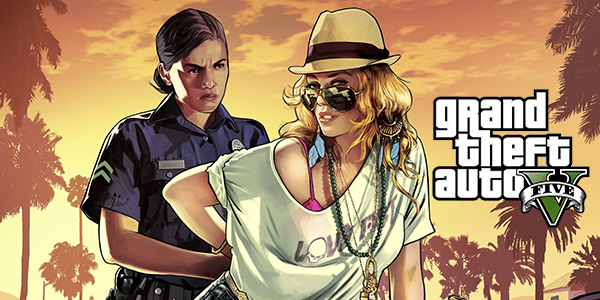 Grand Theft Auto V for PC is a well-optimised game, especially compared to how abysmally GTA IV's port ran on PC at the time of release. The game does feature quite a few options just for the controls, most, if not all keys should be rebindable and otherwise the controls menu is pretty complete. However, there are some issues with the mouse controls, for the most part aiming never truly felt as precise as it should have been. Even the keyboard settings have some small issues. Certain keys are bound into some rather awkward positions by default, and even the controller somehow managed to suffer from the rather awkward and cluttered control scheme. The weapon's wheel system can very often get pretty fiddly to use, and often feels very wonky when compared to the far simpler systems which were present in the previous games. Thankfully switching between controller and keyboard is totally seamless. You can go from playing on a keyboard with keyboard and mouse prompts, and as soon as one nudges the controller, all the icons will be replaced with the appropriate controller icons. I tended to enjoy first person shooting controls with keyboard and mouse, and then switch to controller for driving and flying. 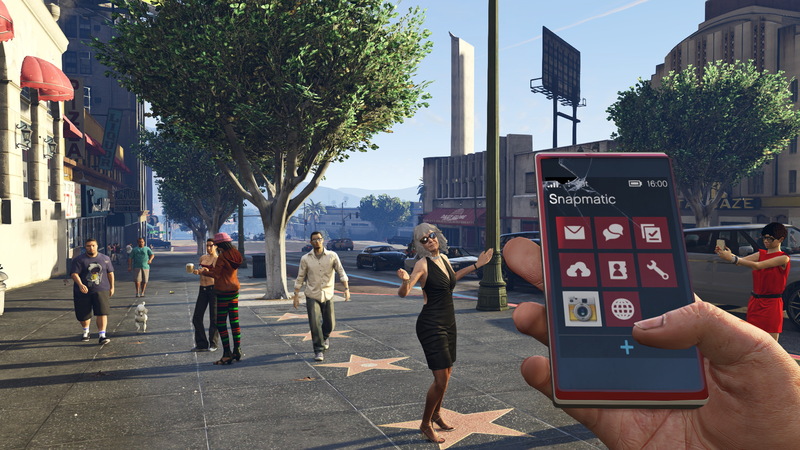 The dialogue boost setting is fairly self explanatory, along with the newly introduced custom radio station. Windows shortcuts can be created into the appropriate folder if needed in order to save up some space. 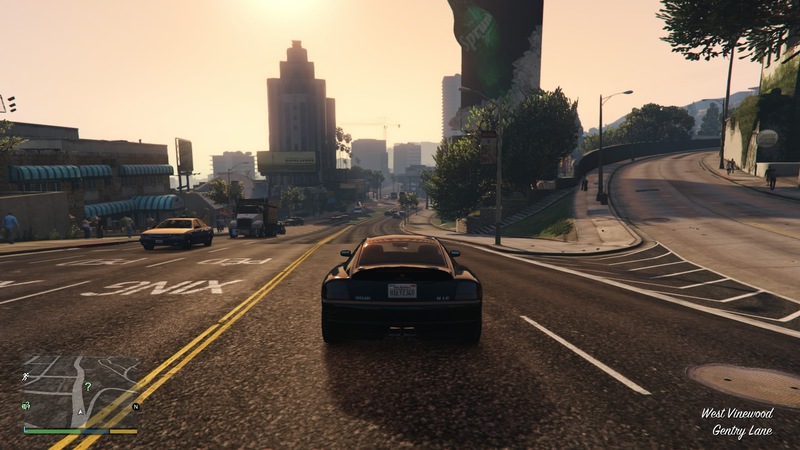 While the game might certainly not be a poor release, Grand Theft Auto V suffers from quite a few technical issues which might constantly get in the way of the player. The game is plagued by a fairly large amount of serious issues, however even though the game does perform amazingly well, some of these issues do add up quickly, certain features either downright not working properly, or behaving incredibly poorly. Loved this, informative as always! Thanks RaTcHeT! All those settings (CL even!) 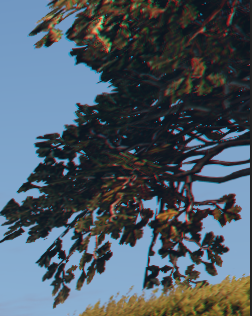 and we can't disable Chromatic Aberration? Dafuq?! Some of the screenshots are placeholders, seeing as I didn't have too much time in order to improve them. Those imgur screenshots are kinda crap. I'll fix some of them up today, seeing as something came up yesterday. I have to deal with some obnoxiously long loading times if I want to use the Director Mode for these, they wouldn't look so inconsistent though, if I had some better hardware that would probably make my life a bit easier. I'm not too happy with my writing either, but whatever now. Maybe it's not CA, I might just be seeing things or something. Here's the original screenshot if you want to see it by yourself. I might be going blind. I really want to make the comparision sliders bigger, but on lower res monitors the page will just downright break. I was also going to include most if not all settings, but testing all these properly can eat up quite a few hours. Something which I didn't add in the article, is related to the population density setting, I'm not sure what it really does, but you can just crank it up to the max and your framerate should be fine. It probably spawns more cars or more citiziens, I don't know for sure, could also be animals for all I know. I also was going to add a note about the AA, but right now I just shoved it under the Performance header, as I didn't honestly know where to write that at first. I don't really have any real examples to back it up with, so it'll have to do for now. There's also some notes I didn't add back from my draft, where I had written what values to use for certain settings, seeing as maxing out some of these might be pointless. There's also lot's of tiny details which I had taken notes of, but didn't add in the report, seeing as, I'd rather not write a wall of text with no real examples, although right now I think that might've not been such a bad idea after all. TL;DR: So little time, so many things I had to add. They are tiny things, but they are really, really important things. Faster hardware = more experimentation = even more tiny details. PS: That's a long TL;DR. I had to sacrifice the benchmarks for the more important things, I was also going to see whenever the radio can play FLAC, WAV, and whatever else formats. And if MP3 ID3 tags are read in the game's radio. This is a minor thing at most, but it's honestly a very interesting detail. PSS: I have no idea, what the hell the shaders change at all, but again, it's a pretty lightweight setting, just crank it up over Normal. Here's a screenshot I had removed. I was also going to see whenever the radio can play FLAC, WAV, and whatever else formats. According to the wiki page, only WAV, MP3, WMA, and M4A are supported. However, it sound like you can use lossless WMA files. Not ideal, but it'll do. I'll probably still test that though, just out of plain curiosity. It's not something I'll include in the report seeing as it's minor. definitely CA. You can see more of it on the bottom of the tires of the car where the R channel is being offset by a pixel or two. Thank you so much for the report! I was wondering which one of those options are less demanding than they appear to be since I could easily put High/Very High on some. This clears it all up. High Texture quality is out of my reach though. My ol' GTX 580 just can't get it without stuttering randomly. What about Tesselation and AO though? I'm not sure where the AO is applied as I didn't manage to test it. I also have no clear idea as to how the shaders truly work, they did something though. I've set the AO to the max, and I was expecting my framerate to just tank, but I didn't see any differences at all. I honestly have no idea. My framerate was unchanged if you want to know. Surprisngly this game runs really well on my budget system. (AMD FX 6300 Six_Core and a 750ti) didn't have to turn down a lot of settings and it actually matches / slighty beats console performance. Now its not 60fps most of the time, but it never seems to drop too much below the 40fps mark which is still playable. I just end up playing most of my games on my TV at 1366x768 which means that I can stop worrying about the framerate while maxing the game out if I want to. The loading times are still really bad though. I agree the loading times are really bad, but with that being said the entire world gets loaded at the start and there's no more loading screens beyond that at least not in the single player mode.